For years, PKC Consulting II LLC has been providing quality, personalized financial guidance to local individuals and businesses. Our expertise ranges from basic tax management and accounting services to more in-depth services such as audits, financial statements, and financial planning. PKC Consulting II LLC is one of the leading firms in and throughout the area. By combining our expertise, experience and the team mentality of our staff, we assure that every client receives the close analysis and attention they deserve. Our dedication to high standards, hiring of seasoned tax professionals, and work ethic is the reason our client base returns year after year. Our mission is to help clients maintain financial viability in the present, while taking a proactive approach to achieve future goals. This requires open communication to reach an understanding of our clients' needs through research and sound analysis. PKC Consulting II LLC is dedicated to meeting these goals with high standards of excellence and professionalism. We have been a staple of the area's business community for years, and pride ourselves on the level of esteem we have earned. Our dedication to hard work has earned the respect of the business and financial community in and around the area. We believe this to be a direct derivative of our talent and responsiveness to our client base. Whether you are a current or prospective client, rest assured that individuals and businesses who choose PKC Consulting II LLC receive competent and timely advice. A native to the Coulee Region, Sheri Knope has over 20 years of accounting experience working with small businesses, taxes, internal audit, fraud prevention and detection, and risk management. Sheri understands the complexities of owning a business. This not only makes her relatable to her small business customers but it also allows Sheri to be able to provide her customers with a unique insight into many specialized areas including risk management. With the increasingly strict regulation climate, this insight is what sets Sheri and PKC Consulting above all other firms. Sheri’s credentials include licensure as a Certified Public Accountant (CPA), Certified Internal Auditor (CIA), Certified in Financial Forensics (CFF), Certified Fraud Examiner (CFE), and Certified Information Systems Auditor (CISA). Sheri is a member of the Wisconsin Institute of Certified Public Accountants (WICPA), the American Institute of Certified Public Accountants (AICPA), the Institute of Internal Auditors (IAA), the Association of Certified Fraud Examiners (ACFE) and Information Systems Audit and Control Association, Inc (ISACA). 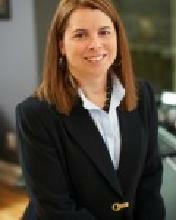 Renae Heesch is an experienced Tax Accountant with her main focus being in preparing individual tax returns. She has a Bachelors Degree in Business Administration/Management & Finance with an accounting minor from Northwestern College in Orange City, IA. Previously, she worked as a general ledger accountant for Trinity International University in Deerfield, IL. Now that Renae has come home to the La Crosse area, she has found her niche in tax return preparation. She genuinely loves her clients and enjoys meeting them face to face each year to prepare their tax returns. 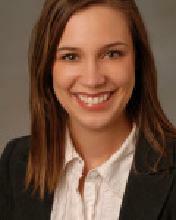 Renae is an Enrolled Agent (Licensed to practice before the IRS) and specializes in tax return preparation. She resides in La Crosse with her husband, three children, and one large chocolate lab. Mariette is a marathon runner and a CPA (Certified Public Accountant), who has worked in public accounting for over fifteen years. Prior to PKC Consulting, LLC, her positions in public accounting were with Virchow Krause (now Baker Tilly) and Wipfli where she learned tax preparation and perfected her audit skills. Sheri first met Mariette on an internal audit engagement and appreciated her level of knowledge and attention to detail. 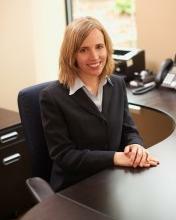 Therefore, when Mariette moved back to the Coulee Region, she joined PKC Consulting, LLC. Mariette works full time during tax season and on a part time basis throughout the rest of the year.